The Kickstarter campaign for The Strange was supported by a number of great retail establishments. At the ULTIMATE RETAILER level, stores that backed the campaign got not only a great selection of product for the game’s launch, but also a visit by Monte or Bruce to the store for a day of signings, talks, and games. The Guild Hall in Savannah, GA was one of our ULTIMATE RETAILERS. As it turns out, Clegg Ivey and Jacob Heider (co-owners of The Guild Hall) had backed The Strange even before their store was open! That was last year. Fast forward to now. 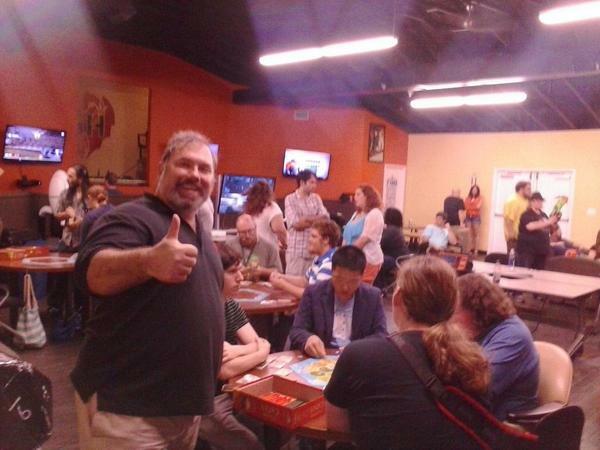 Last weekend I visited The Guild Hall in Savannah, GA for its grand opening, and to help them celebrate, run games, and sign books. On the night I arrived in Savannah I walked over to The Guild Hall. 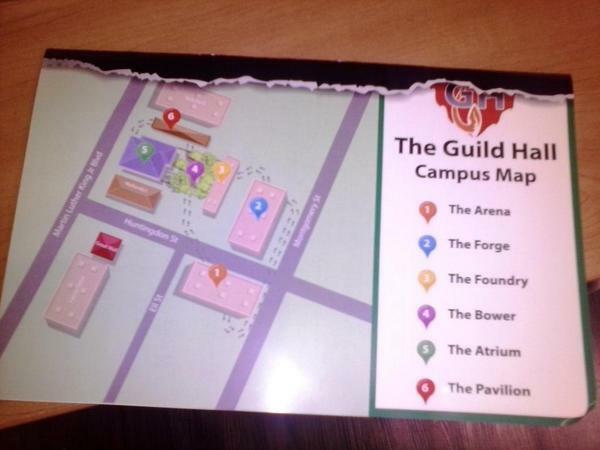 I was stunned to discover that the Guild Hall wasn’t a game store; it was a game campus! 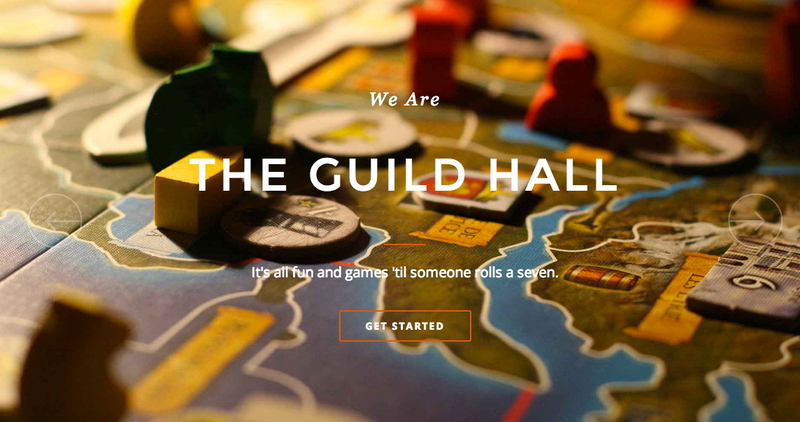 6 full buildings with stuff going on in each and every one of them, including music, a maker space, a theater, a store, tabletop games, and video games. They’ve also got a 3D printer! 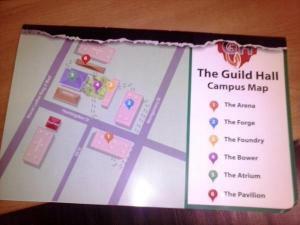 As it happens, The Guild Hall made their store opening into a convention–GuildCon2014–which certainly added to the air of festivity. The owners showed me around, explaining with obvious (and well-deserved) pride what went on in each of the spaces they’d prepared at The Guild Hall. They told me how they’d long believed that the Savannah area was ready for a creative space like The Guild Hall. 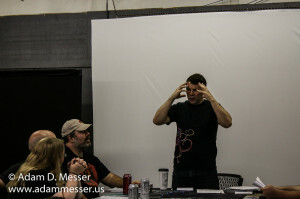 Though not many people believed that was true, they were more than vindicated by the creative community’s response. 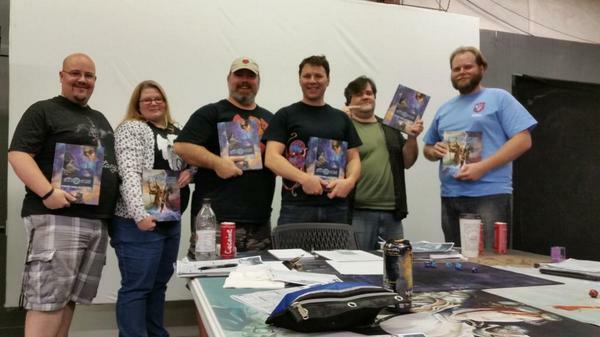 The following day, I ran a game of The Strange. They put me and the players up on a stage, with a seated audience looking on. Time for a virtuoso GM performance, I realized. 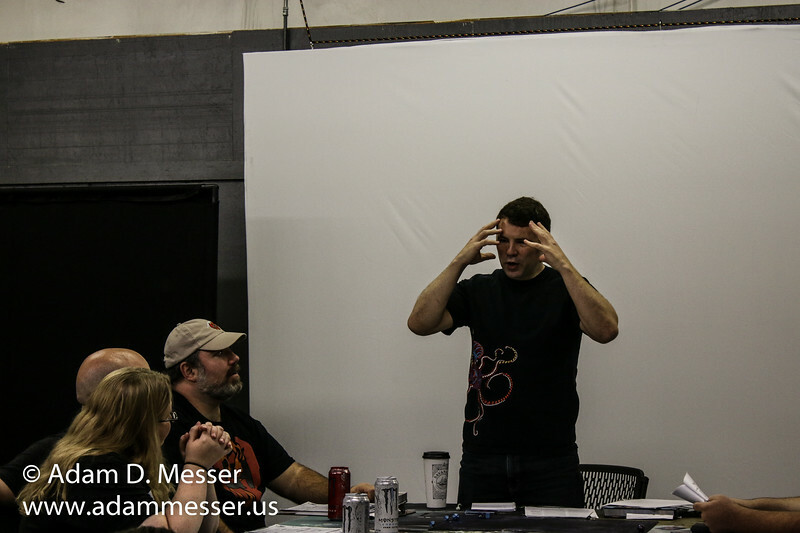 At first, as I was explaining how the Cypher System worked to both the players around the table and audience, I felt a bit nervous to be doing my thing in front of such an extended crowd. However, after just a few minutes, all those concerns fell away, and we got into Eschatology Code. 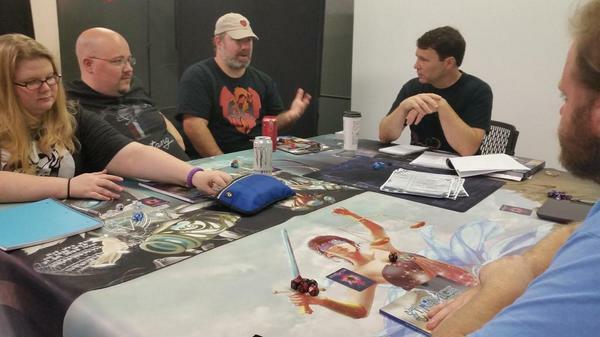 Eschatology Code (EC) was our Gen Con adventure for The Strange. We also ran it at PAXPrime a few weeks ago. As it happens, EC isn’t available more widely (yet! ), but it will be soon. As you can see by the smiles of everyone who played through the adventure, they were Strangely taken by it, and by The Strange itself. To sum up, this was a great time to visit a great store. Clegg and Jacob, store co-owners, had this to say, “Thank you so much for helping to make #GuildCon2014 an incredible success!” A success you can see for yourself, in the highlights reel of the 3-day event concentrated into a single minute (I get my own moment at 41 seconds). If you happen to be in the Savannah area, The Guild Hall is well worth a visit! 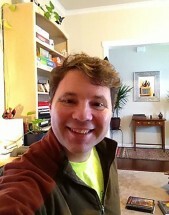 This entry was posted in Announcements & Special Features, Articles & News. Bookmark the permalink.